There is no worse feeling than picking up a game you’ve been looking forward to for months, popping it your console and then realising it’s a horrible mess of bugs, bad writing and poor gameplay. Unfortunately, disappointment is a common emotion for gamers. The games in this list, while not necessarily terrible, let down gamers across the globe by not fulfilling their massive potential. Fable and Fable II are genuine classics of the RPG genre, so why was Fable III – a game where you actually get to become the king of Albion – so disappointing? Three words: easy, short and rubbish. There was no challenge, there were barely any quests and being a king was way less fun than it should have been. Oh, and there were loads of bugs too. The trailer for Dead Island is easily one of the best videogame previews ever, which made the game that followed even more disappointing. From the trailer, it was reasonable to expect an intelligent game about a zombie outbreak – perhaps something similar to 28 Days Later in tone. What we got instead was Fallout­-meets-Dead Rising, with repetitive quests and a severely lacking plot. All in all, it’s not terrible but it’s not what we expected either. Mass Effect 3 is a fantastic game in a fantastic trilogy. Unfortunately, it had an unforgivably terrible ending. EA and Bioware even had to release alternative endings to appease fans. Where do you even start with this one? Colonial Marines finally looked like the Aliens game fans have been waiting for (lest we forget the massive influence the film has had on gaming), with an incredible trailer shown at E3. Unfortunately, the finished product was a generic first person shooter where the deadly Aliens are reduced to cannon fodder and your main enemies are stupid human grunts. The story, apparently a continuation of Aliens, has more inconsistencies than a goldfish writing a witness report. The misleading nature of the trailer has led to lawsuits and numerous disputes between creators SEGA and Gearbox. Battlefield 4 should have been the game to knock Call of Duty off the first person shooter throne. Instead, it was a total mess. From the off, numerous features were broken and ‘fixed’ with updates that ended up breaking even more. Gamers experienced massive connection problems and online issues. So why was the game released when it was so clearly unfinished? Well, EA wanted to get the leap on Call of Duty: Ghosts by releasing the game a week early. That move backfired and the Battlefield franchise, which was so well served by the excellent Battlefield 3, has taken a massive blow. There was a time when a Resident Evil game was guaranteed to be brilliant. Resident Evil 2 remains one of the best survival horror games ever made, while Resident Evil 4 changed the formula and ended up influencing everything from Dead Space to Gears of War. Resident Evil 6, however, is far from brilliant. 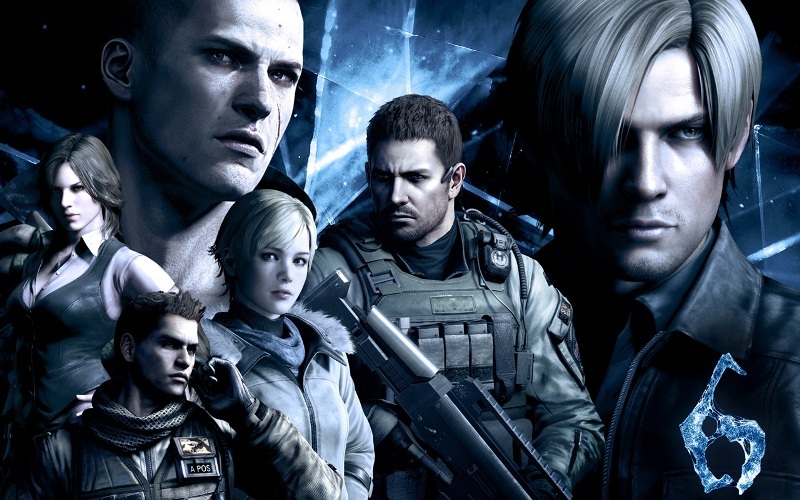 Taking more or less every character from the franchise, RE 6 removes the slow-burn horror and well-paced action of the previous games and replaces it with an endless array of gun-fights and explosions. It’s more or less a Michael Bay film with zombies. There is a silver lining though; RE 6 performed below commercial expectations and Capcom are now focusing their attention on the excellent Revelations series and a remake of the original Resident Evil game. If you’ve got any of the games in this list, why not sell them with musicMagpie? It’s as simple as price, box, send!